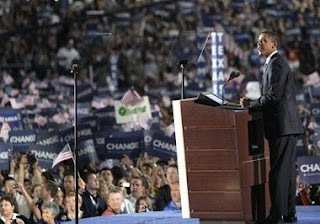 WASHINGTON, Aug 29: Democratic presidential nominee Barack Obama has pledged to finish the fight against the Taliban and Al Qaeda in Afghanistan and end the war in Iraq ‘responsibly’. His acceptance speech on Thursday focused mainly on domestic issues like health care but Senator Obama did mention the two international issues that worry the Americans most: the war in Iraq and the situation along the Afghan border. “I will end this war in Iraq responsibly and finish the fight against Al Qaeda and the Taliban in Afghanistan,” he declared. The situation in Fata, along with the war in Iraq, has become an election issue in the 2008 race for the White House with both Republican and Democratic candidates taking strong positions on how to root out terrorists from the area. The Democrats, however, have given the portfolio of foreign affairs to their vice-presidential candidate John Biden. As chairman of the Senate Committee on Foreign Relations, Mr Biden not only has first-hand experience of dealing with such issues but also has travelled across the world and personally knows key world leaders. Senator Biden’s speech focused almost entirely on international disputes, freeing Senator Obama to concentrate on domestic issues. Although Mr Obama arranged for Mr Biden to devote his speech to international issues, he did not hesitate to challenge his Republican rival Senator John McCain to debate him on these issues. “These are the policies I will pursue. And in the weeks ahead, I look forward to debating them with John McCain,” said Mr Obama while briefly outlining his policies on major world issues. Senator Obama also blamed Mr McCain for not being clear on how to pursue those responsible for the 9/11 attacks. “John McCain likes to say that he’ll follow bin Laden to the gates of hell, but he won’t even follow him to the cave where he lives,” said Senator Obama, reaffirming his earlier statements that he would not hesitate to launch direct military strikes at suspected terrorist targets inside Afghanistan and Pakistan. Mr Obama also criticised Mr McCain for refusing to give a timetable for withdrawing troops from Iraq. “And today, as my call for a timeframe to remove our troops from Iraq has been echoed by the Iraqi government and even the Bush administration, even after we learned that Iraq has $79 billion in surplus while we are wallowing in deficit, John McCain stands alone in his stubborn refusal to end a misguided war,” he said.